The Teenage Mutant Ninja Turtles Combo encompasses strength, power and courage in this energetic 7-in-1 combo inflatable jumper. 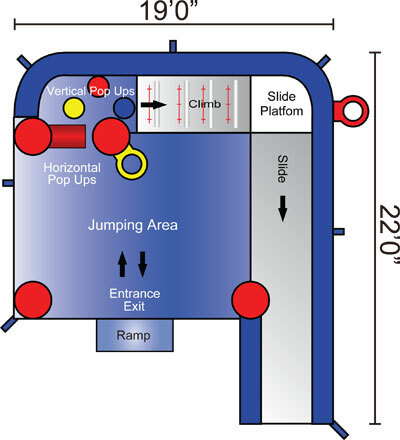 With an AMAZING seven activities from which to choose, kids can practice their superhero skills. 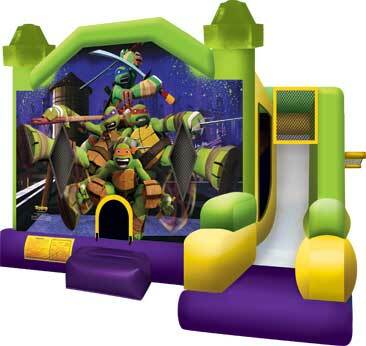 This impressive Teenage Mutant Ninja Turtles 7-in-1 combo inflatable jumper offers colorful artwork at every turn, and is sure to draw quite a crowd.